Americans love their burgers. 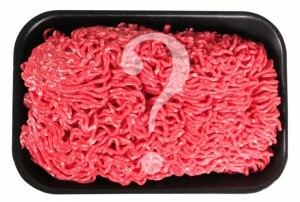 How about pink slime and ammonia? I can’t get the image out of my mind when Jaime Oliver, a chef and food revolutionary, took all of the trimmings from a butchered cow that would normally be turned into dog food, sanitized it with ammonia, and made “pink slime” which was then ground into ground beef to be used in the good old fashioned burger. Food for thought isn’t it? Do we really know what we are eating? “Any trimmings that can’t be used as edible beef get sent to a rendering plant where everything is turned into dog food. But that’s not always the case. As I learn more and more about food processing, I am appalled that we really don’t know what we are eating. When my patients bring me a list of the foods they eat, they seem fine, however some contain preservatives, herbicides, pesticides or other chemicals or are treated, decontaminated or processed with salt and fillers that are foreign to our digestive, enzymes and detoxification systems. These are sometimes responsible for many of the symptoms my patients complain about. Lorraine Maita, MD is an award winning physician, speaker and author of “Vibrance for Life: How to Live Younger and Healthier”. She is a consultant to corporations wanting to improve the health and productivity of employees and has a private practice in Anti Aging Medicine in Short Hills, NJ. You can live younger and healthier, buy “Vibrance for Life: How to Live Younger and Healthier” and make an appointment for a consultation at my website, How to Live Younger; Please click on Vibrance For Life to purchase my book now!